Since I discovered that I could put pumpkin and beets into my pizza dough, I have been a bit crazed trying to figure out what else I could add to me pizza dough. So, next on the list was spinach! Microwave spinach as directed on packaging (8-10 minutes). Blend in a food processor until very smooth (adding 2 tbsp water if necessary). This will make about 1 ½ cups of spinach puree. 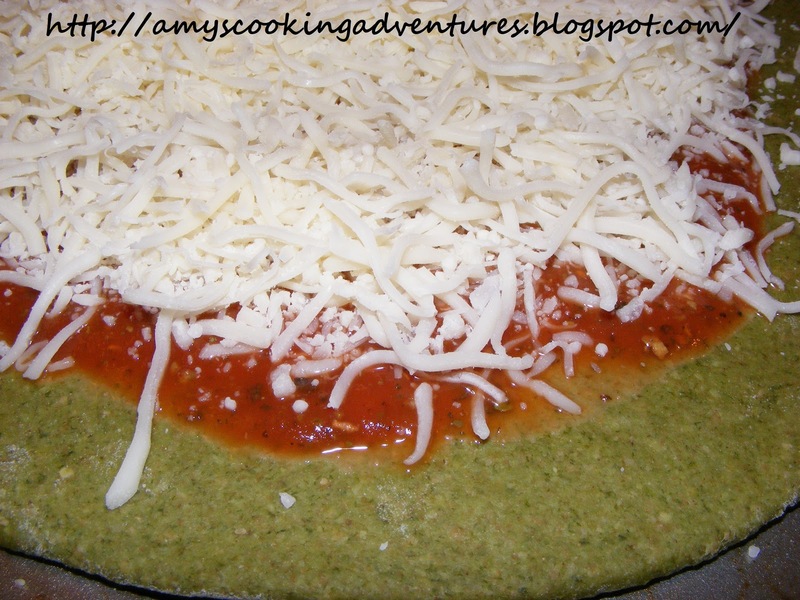 Freeze the remaining spinach in ½ cup packages. Use in future pizzas or in place of green puree. 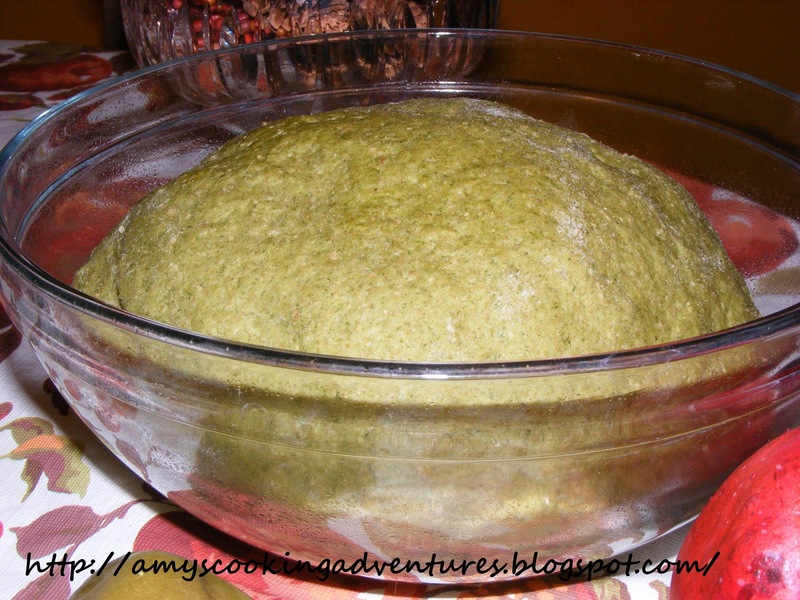 Mix yeast spinach puree, salt, olive oil, flax, and flours in a large bowl. Turn out onto a lightly floured surface and knead until all the flour is incorporated and dough is smooth and no longer sticky. This not only looks delicious but it also looks healthy! Really wonderful! Thank you! 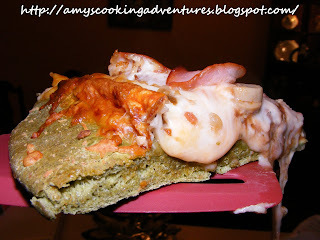 We really enjoyed it and I loved that my picky 2 year old was eating spinach!